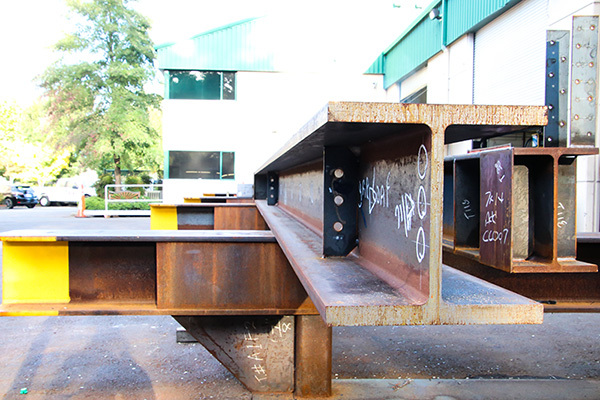 Iron Dog Fabrication, Inc is a certified structural steel, ornamental fabrication, and AESS structural steel shop. We are located in Sonoma County California and we serve the greater San Francisco Bay Area, including Lake, Mendocino, Napa, Marin, Sonoma, San Francisco, Contra Costa, and Alameda Counties. Iron Dog has been in business since 1995 and has been incorporated since 2000. Our reputation is to provide flexible and responsive service, and we often are chosen for projects when turn around time counts. Our service with our clients is one of the reasons why we have an excellent track record with repeat business. Many of our employees have been with Iron Dog for more than 10 years. Our employees are professional, well trained and capable of getting it right the first time. Iron Dog is a FEMA affiliate and has been certified to do FEMA welding since 2005. The American Welding Society (AWS) was founded in 1919 as a multifaceted, nonprofit organization with a goal to advance the science, technology and application of welding and related joining disciplines. AWS New World Headquarters render 2012 from factory floor to high-rise construction, from military weaponry to home products, AWS continues to lead the way in supporting welding education and technology development to ensure a strong, competitive and exciting way of life for all Americans. Iron Dog has been a member of AISC since 2003.